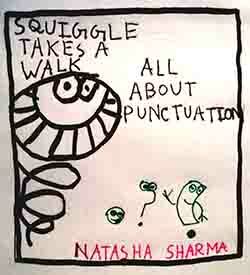 Squiggle Takes a Walk: All about Punctuation is a very good book written by Natasha Sharma. 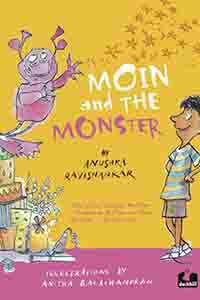 In the first page of this book enters a character named Squiggle. She did not know who she was and how she came there. She felt very lost and alone on the page where she was. She wondered where these lines of the book would take her. So, she jumped into the page of the book to find some answers. In her journey she found many things of various shapes. She found them in the book between or at the end of a sentence. Those things were signs of punctuation marks. 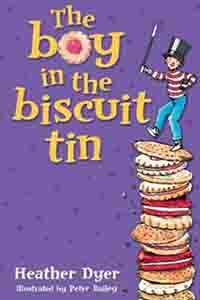 she faced in her journey ‘ a question mark’, ‘an exclamation mark’, ‘ a full stop’, ‘ a comma’ , ‘ an apostrophe’ etc. At the end she found the friendly voice of another ‘doodle’ that is a funny character. From the conversations between the things and the Squiggle we learnt how to use punctuation marks. 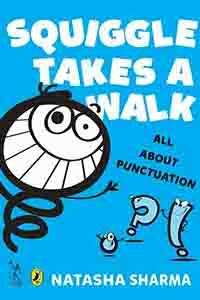 There are lots of pictures in the book from which we can know many things about punctuations. There are 69 pages. The funny thing is that the number ‘69’ seems like single inverted comma. 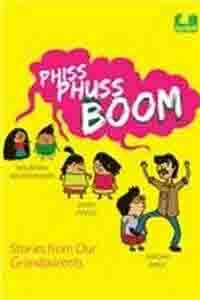 The readers can get fun as well as knowledge of using punctuations marks from this book.